Can you really rely on a highly recommended Celebrant? Would you choose your Celebrant based solely on the recommendation of family or friends? What if the highly recommended Celebrant doesn’t appeal to you? 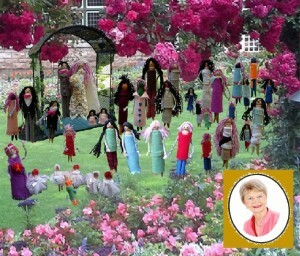 Would you feel that you have to choose that Celebrant? Just what does ‘highly recommended’ mean? Does a real client make the recommendation and how do you know? 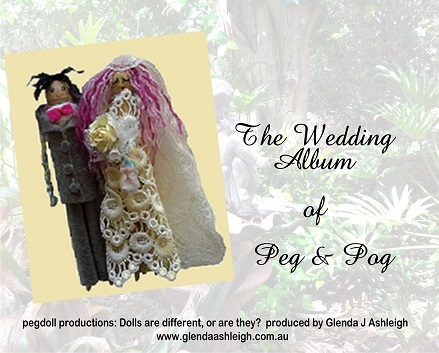 Peg & Pog highly recommend Brisbane’s Really Good Celebrant, however are Peg & Pog real clients? Can you trust the opinions of other people to be the same as yours? Everyone has different tastes, ideas and expectations about ceremonies and celebrants. There are certain things however, that everyone looks for in a Celebrant. Firstly, choose a Celebrant you trust to help you have the ceremony that you want. You choose how you want to celebrate your wedding. Secondly, feel comfortable to share your ideas and wishes openly. You choose what you want to include in your ceremony. Thirdly, don’t hesitate to ask for help at any stage. You are the client and you deserve the utmost professional care and attention. Finally, choose a Celebrant who is good value. Celebrant fees vary and so does quality of service. You choose the level of service that fits your needs and wishes that is within your budget. Recommendations or reviews are feedback that clients give to me as their Celebrant. I ask all my clients for their comments on the services that I provide. These reviews and comments are important to me as they allow me to continually improve and grow the quality of client service. Nobody is perfect and mistakes do occur, however it is the way in which these instances are handled that makes the difference to good client service. I listen carefully to you so that, together, we create the wedding ceremony that is just right for you. Not only does this take time, experience, and skill, it also requires patience, and understanding your wishes. Recommendations of value are those that are the original words of clients that describe their experiences of my services. Clients routinely give me feedback and use words such as professional, friendly, organised, enjoy, helpful, and approachable to describe the services I provide as their Celebrant. Clients express their feelings of trust in my expert and practised skills, not only in listening carefully to them, but also in delivering the genuine, honest and personal service that they expect of a professional Celebrant. Clients appreciate the open and personal approach that I have with them from our first communication. 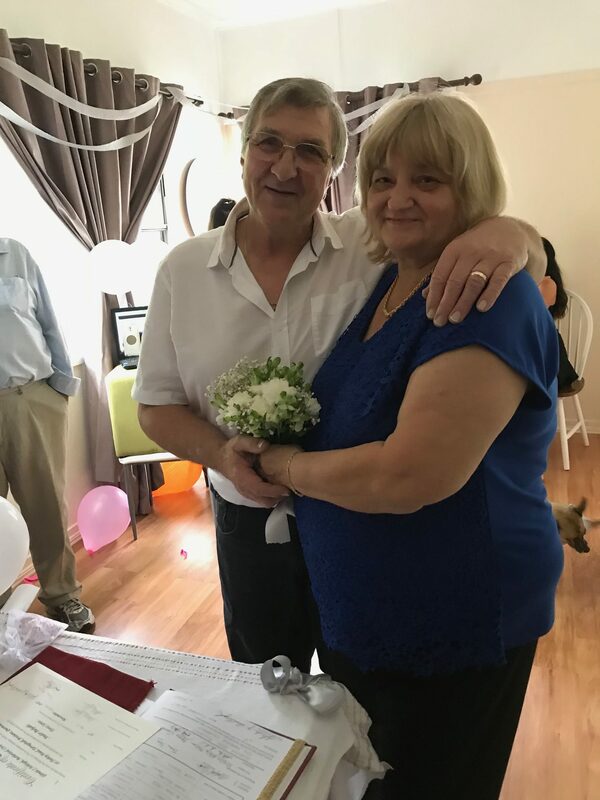 I make your ceremony my business, and establish a friendly and good-natured atmosphere so that we can communicate easily. Clients value the orderly and structured manner that I use during the process of getting married. Not only do I handle all the steps in the legal process, I also apply my expertise, skills and knowledge to manage the steps in the process of planning your wedding ceremony. I encourage everyone at the ceremony to delight in the moment. Those special moments in a ceremony that touch hearts are the ones that make delightful memories. These moments are the magic-makers in a ceremony and are the ones that bring the warm, happy smiles to faces. I share many suggestions and creative ideas openly and willingly with clients. I love helping people create the ceremony that captures their ideas and wishes. This is the heart of a personalised and unique ceremony that not only makes for an enjoyable one, but also one that is truly memorable. Clients tell me that they feel comfortable when they communicate with me. I am courteous and pleasant in all communication, not only in speaking and writing, but also in non-verbal communication through appearance and the way I conduct myself. I answer questions openly and honestly and in a timely manner. The real testimonials and reviews I get are valued recommendations that you can rely on as they come directly from real clients. As Brisbane’s Really Good Celebrant, I am happy to share the testimonials from my satisfied clients who highly recommend me as a celebrant.